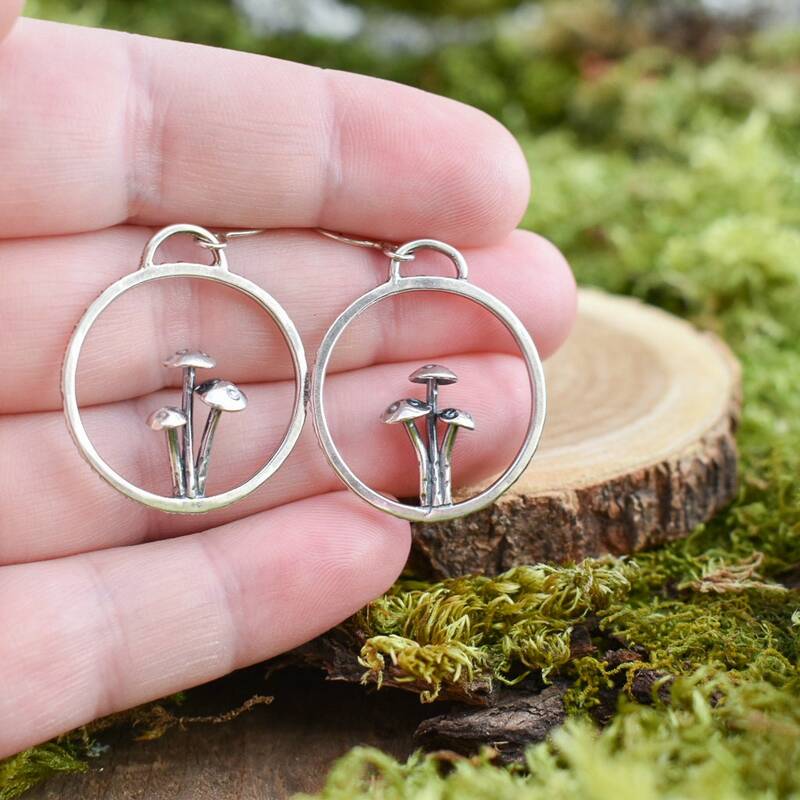 Wear the forest floor on your ears with these sterling silver mushroom trio hoop earrings. 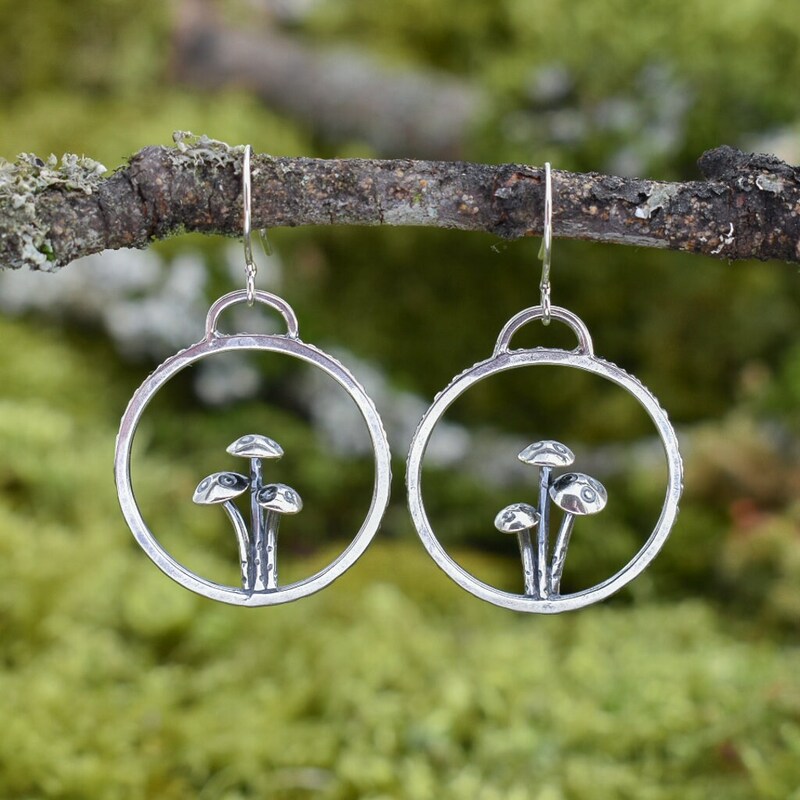 Each hoop has a hammered bark texture on the outside and three cute little spotted mushrooms growing inside. 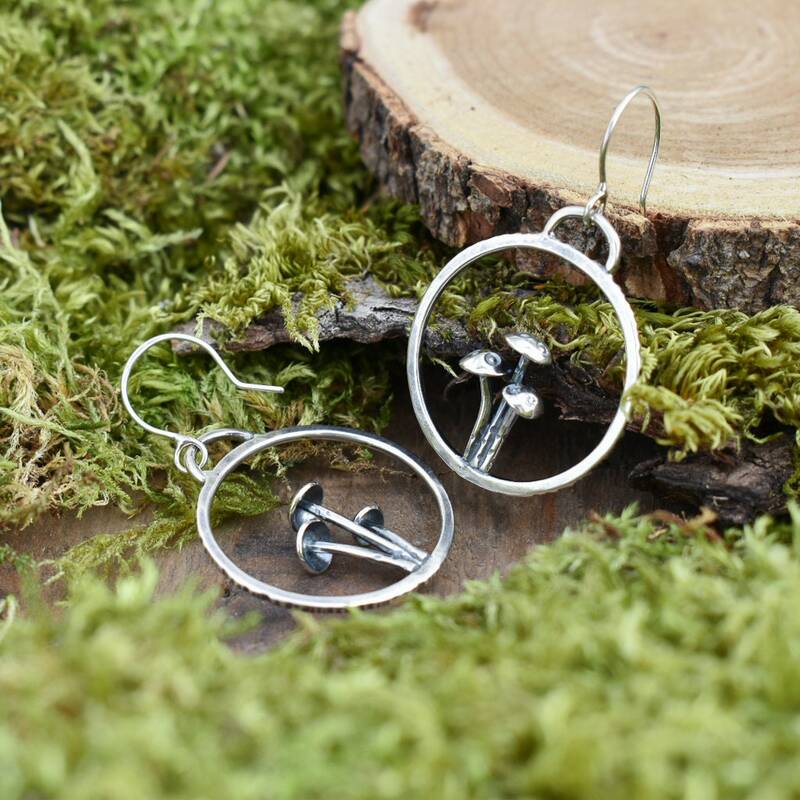 A dark patina accentuates each hammer mark. 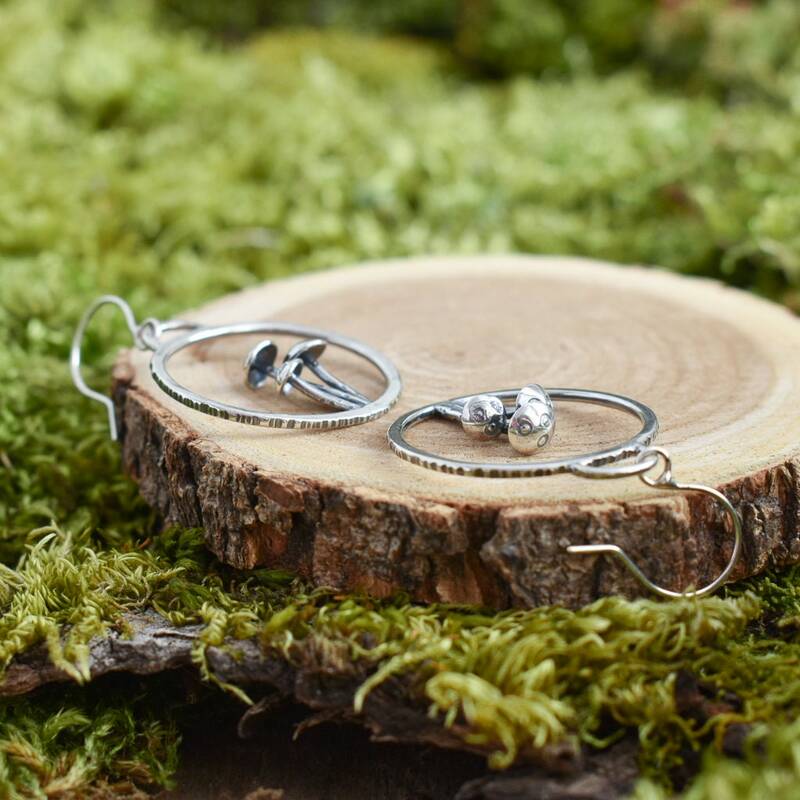 These earrings were created completely by hand from silver sheet and wire using traditional silversmithing techniques.